This entry was posted in Eskişehir, ethnic cleansing, Happy news, history of Turkey, Sufism and tagged Crimean Tatars, meerschaum, Turkish War of Liberation. Bookmark the permalink. ← Does Istanbul need a mega-canal? It’s the one city whose name I always have problems pronouncing. 🙂 Thank you for sharing your insights. I love the photograph with the strokes. I toyed with the idea of writing it the Turkish way – Eskişehir – but I know that causes problems for English speakers. I knew what you meant 😉 Thanks for the feedback. Those Istanbulites should honestly and objectively compare their “Sharia hell” to Saudi Arabia, for starters. Considering that even religious groups which self-identify as Satanic exist in Turkey, not to mention Freemasons (which aren’t well-regarded by either Christians or Muslims), the notion that RTE and AKP want an “Islamist sultanate” seems like mostly hogwash to me. Yes, I agree. After all, they’ve had 15 years to implement their Sharia agenda. What’s taking them so long? 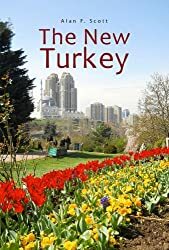 Most evenings I cycle along the Marmara seafront past hundreds of locals picnicking in the park, sipping wine and beer, even in the fasting month of Ramazan – and I haven’t heard of anyone being whipped, or even warned. I ask, who’s the crazy ideologue here? Good question. My experience of Communists is, they don’t like anyone – not even each other! That’s an interesting combination, though – Catholic-Communist!